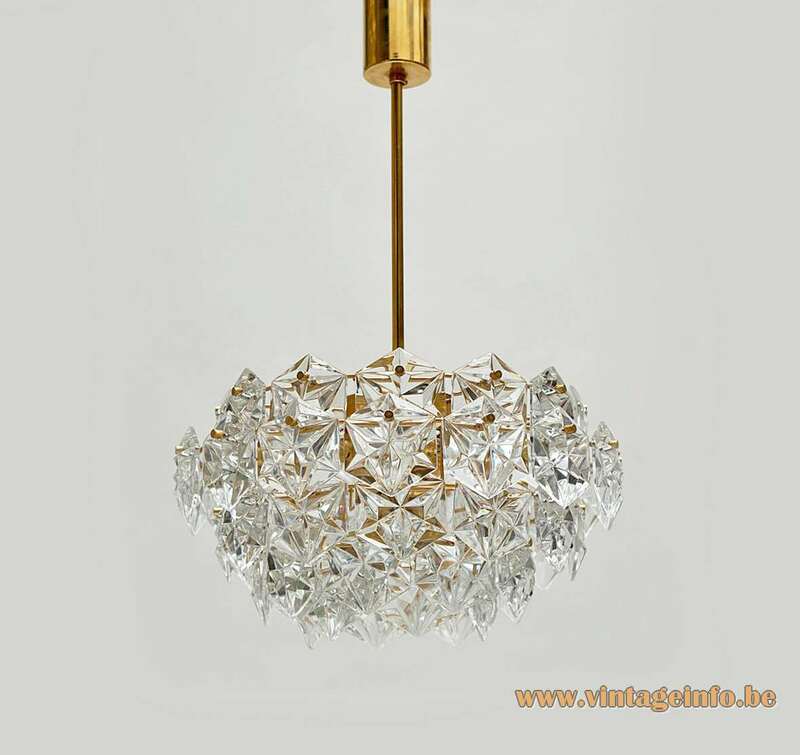 Materials: Gold plated brass, 54 multifaceted crystals. 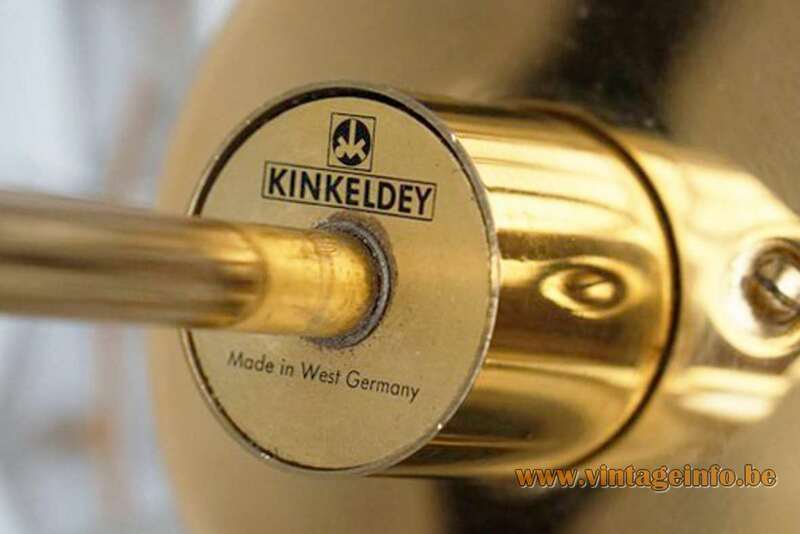 Brass sockets. 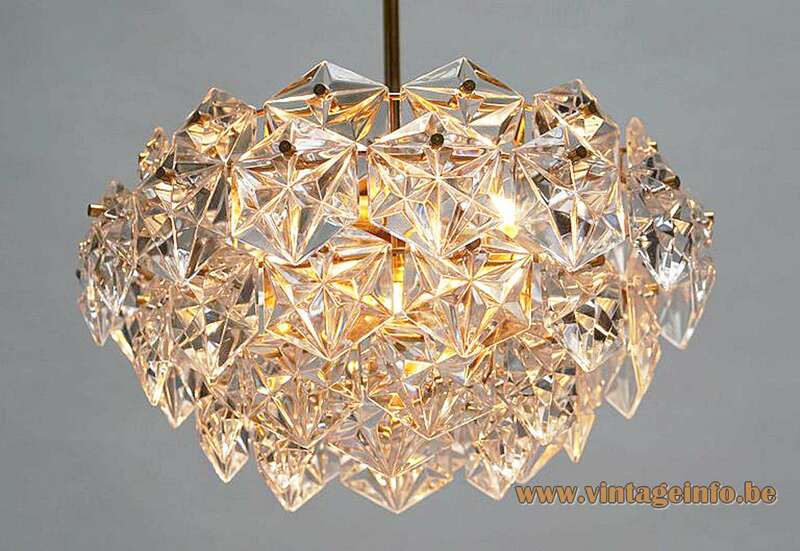 Electricity: 1 bulb E27, 1 x 60 watt maximum, 6 bulbs E14, 6 x 40 watt maximum, 110/220 volt. 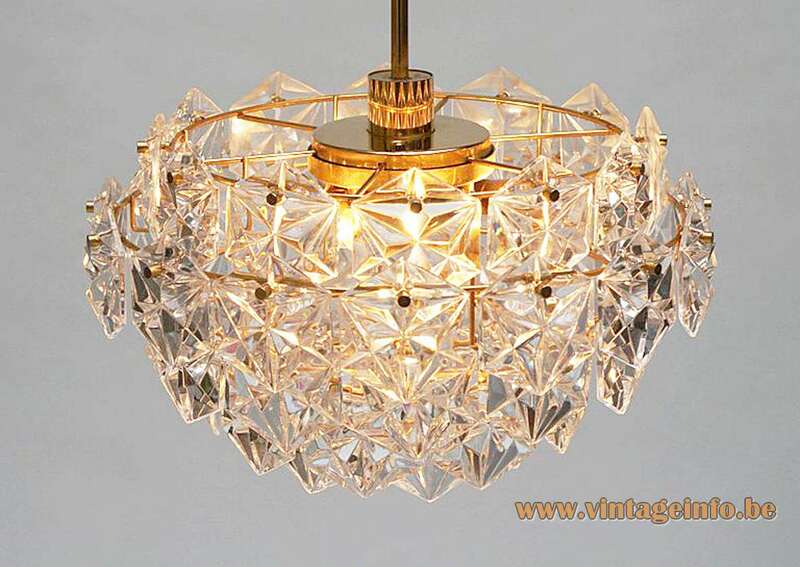 Any type of light bulb can be used, but a clear bulb is preferred for clear crystal glass. Other versions: Made in several sizes. 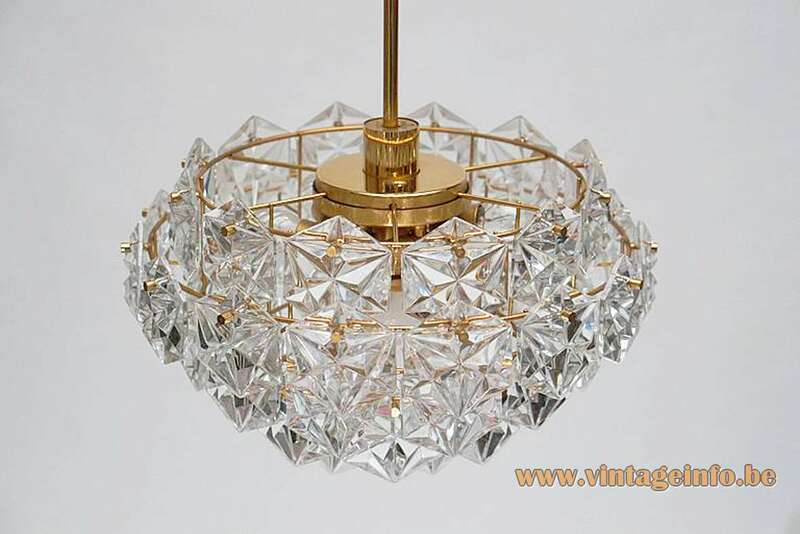 Also wall lamps with this form of crystals were made. 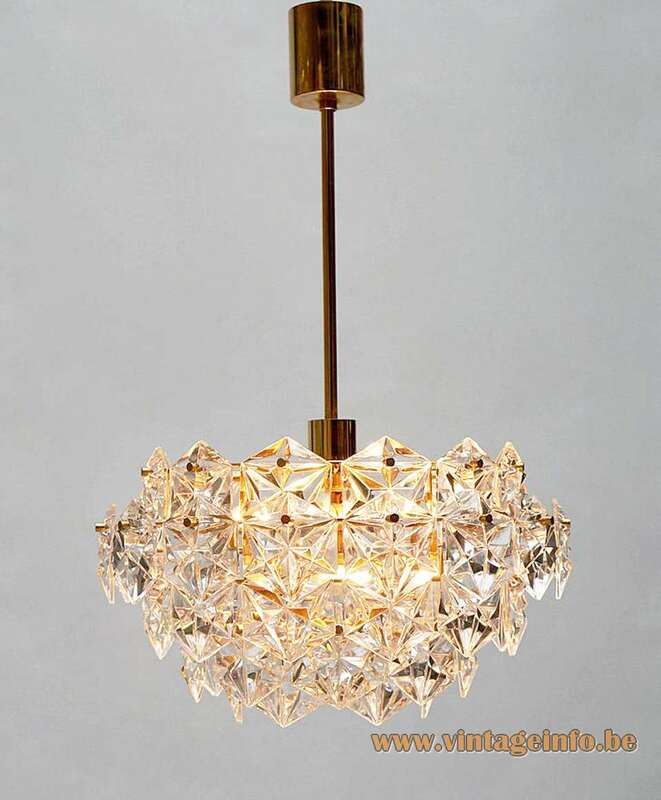 Kinkeldey received 8 iF Design Awards for its designs.